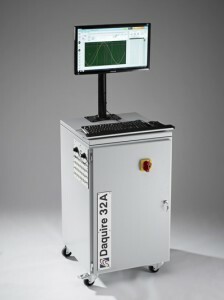 The Daquire™ real-time acquisition system is designed to provide simple but flexible data acquisition combined with the unique ability to capture and analyse data in parallel. The user interface has an easy to follow ‘Acquire’ ­­-> ‘Analyse’ -> ‘Report’ structure that has proved very reliable for our clients in the automotive, autosports and aerospace industries. The Daquire™ system is built to customer specifications so if there are any questions, please do not hesitate to contact us. Figure 1: Daquire can log an acquisition while still analysing a previous data set. Daquire™ is built using rugged CompactRio hardware from National Instruments – providing reliable operation using off the shelf components. 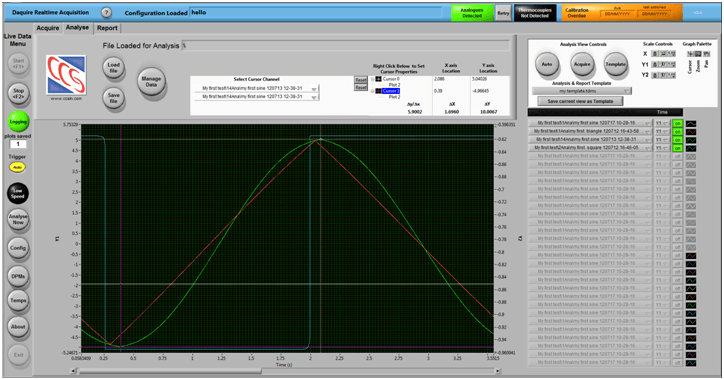 High-speed logging and triggering (up to 100kHz). Up to 96 anlalogue inputs and 64 thermocouple channels simultaneously. 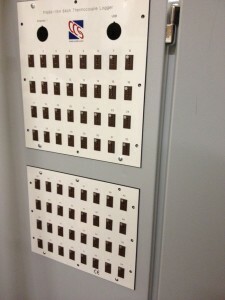 Real-time floating digital panel meters and temperature gauges. Analyse data in parallel to logging. Overlay channels from other files for comparison. Distance and gradient measurements between Euclidean points. Create data view templates to rapidly reproduce analysis and report templates. One-touch report creation of analysis. No need for separate hardware, Daquire™ is ready to use ‘out-of-the-box’. Unit mounted on heavy-duty, braked, castors for ease of transport and static operation. Our standard Daquire system is built into a rugged steel cabinet and mounted on ACCCAS heavy dust castors for ease of portability even in a harsh industrial environment. The HMI is via a standard mouse and keyboard with a fully adjustable monitor which has proven popular with customers for it’s familiarity. Additionally, the cabinet door is key controlled and electronically isolated to prevent unauthorised access or potential operator injury. 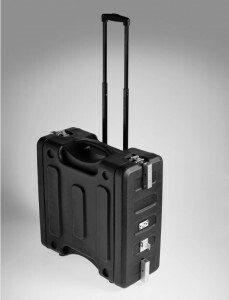 However, if greater portability is required, we can offer the entire system enclosed into a durable flight case as detailed below with no reduction in functionality. The enclosed system can run exactly the same software on a laptop which is connected to the chassis via Ethernet; this enables the system to run in exactly the same manner as the floor standing model but with the added advantage of worldwide portability. The case itself is extremely hard wearing, more than capable of withstanding the conditions in an aircraft hold and, when fully closed, will suffer no damage if it is left on a luggage conveyor in the rain! 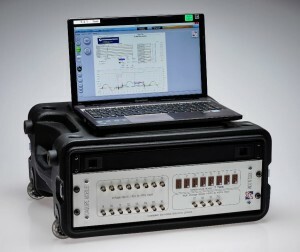 This case encompasses data acquisition and control, that can be set up on a desk to cycle hydraulics for life tests. It is easy to read from transducers and digital inputs or buses, and data is saved in the best data format for easy analysis. Produces repeatable clutch testing, where the operator now has no influence in results so variance is minimised. It is also easy to follow and to train up new operators, but is also password protected for administrator, operator, rig maintainer and calibrator.